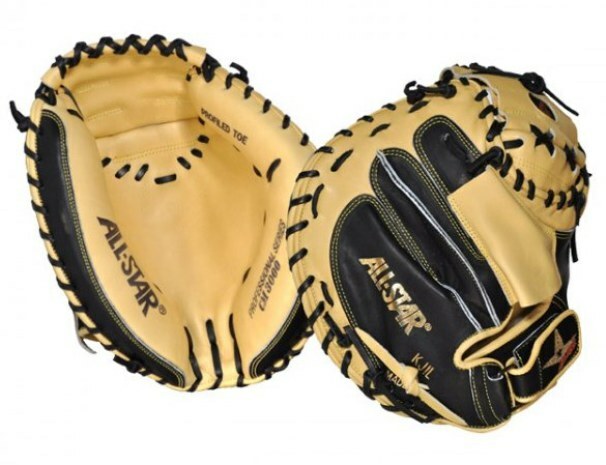 Salvador Perez wears the popular All-Star brand for his mitt and gear, including the CM3000XSBT seen below. Thanks to WPW reader and consistently helpful resource, Tyler for this one. Tyler also mentioned seeing Perez training with the CM3000TM, a training mitt designed to teach catchers to receive the ball in the pocket, not the web. The CM3000XSBT and the CM3000TM training mitts are available at the respective links. Categories: Gear, Kansas City Royals, Glove, Catcher, Salvado Perez.